The Federal Reserve’s most recent decision to increase interest rates does carry implications for individuals who are considered affluent. This mostly has to do with their estate planning. Interest rates can definitely impact strategies in place for minimizing estate taxes and maximizing the benefits associated with income tax bricks. Guarantor retained annuity trusts and intra family loans are two typical strategies that a family may want to consider implementing before interest rates go any higher. 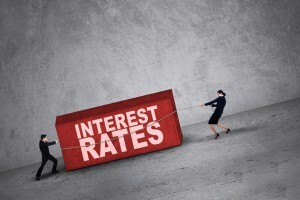 This is because both of these strategies have benefits when investment returns exceed what’s known as a hurdle interest rate based on the rates of the market. A qualified personal residence trust, in addition, in order to pass on a vacation home or primary resident to heirs is also worth keeping in mind when interest rates go higher. The present value of the asset is lower in a higher interest rate environment and therefore the potentially taxable gift value is also lower. Make sure to consult with your estate planning attorney to learn more about what you need to know about rising interest rates and what you can do now to minimize the impacts of taxes in the long run.